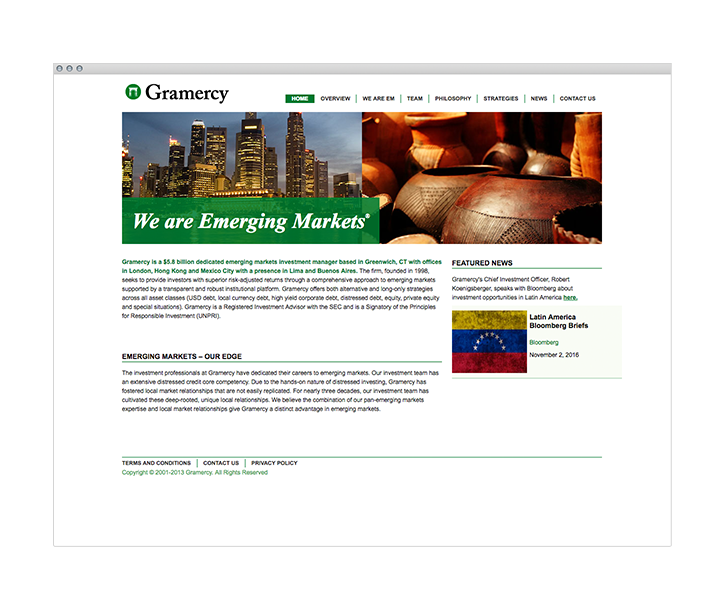 Gramercy is a multi-strategy investment manager focused on emerging markets, with a highly skilled team that is often quoted in the financial press. 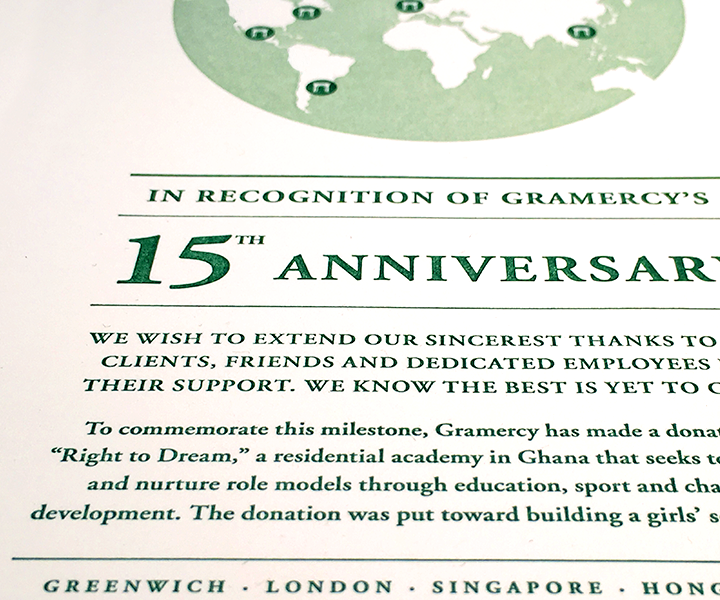 Founded 20 years ago, Gramercy maintains a global footprint and manages $6 billion in assets. 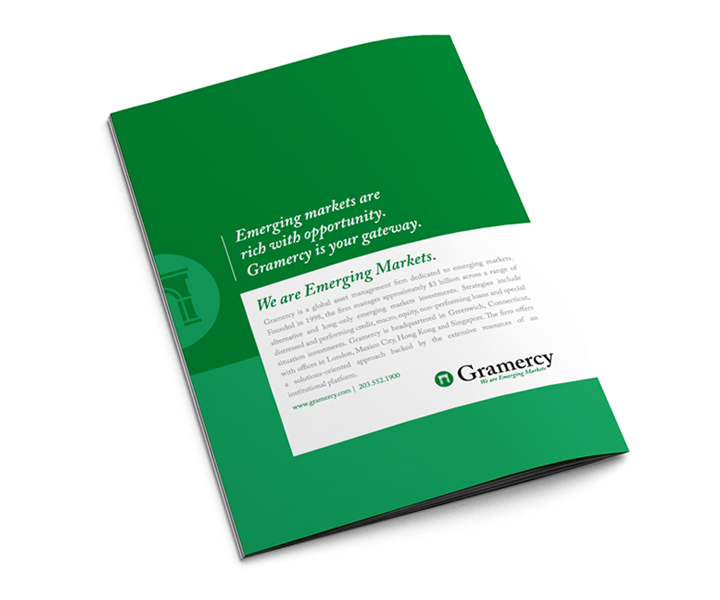 After investing in emerging markets for over a decade, Gramercy found itself at an inflection point. The asset class was expanding beyond its traditional definition. Changes were also occurring at Gramercy, which worked to institutionalize the firm to serve increasingly sophisticated investors. 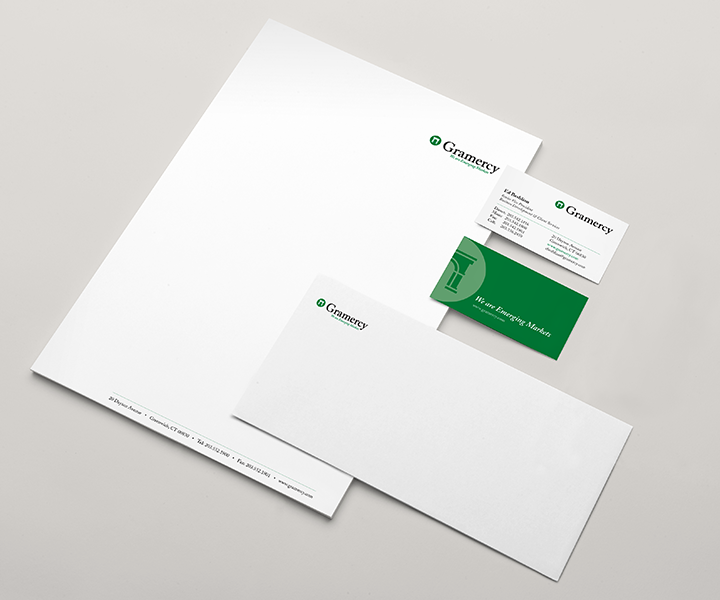 Gramercy engaged SPINE to ensure the brand evolved along with these internal and external developments. SPINE began by revisiting the corporate identity, an ornate white arch that symbolized Gramercy’s role as a gateway for investors to the world of emerging markets. We explored many alternate ways of communicating that concept. However, Gramercy had built up brand equity in the arch. We updated the logo, simplifying the arch for a more contemporary aesthetic. The new mark better reflected the dynamic nature of the marketplace, and signaled to investors that change was underway at Gramercy. "...seeking access to a growing asset class..."
The website is generally Gramercy’s first point of contact with potential investors. We designed and developed a new site with a clean, simple, and modern look and feel. Images from emerging markets around the world underscored Gramercy’s expertise in the space. As part of the firm’s investment in its brand, Gramercy also began running print ads with a layout highlighting the updated logo—which in turn supported the messaging.